Of course, the latest Smart TVs and 4K screens offer stunning picture quality, often with sleek, stylish designs. 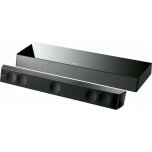 However, as flat screens have gotten thinner, the space (depth) the manufacturer has to fit speakers in has been reduced. As a consequence, while these screens look stunning, they can often lack in the sound quality department and even suffer from "tinny" sound quality that lacks bass response. 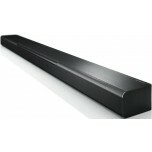 A good quality soundbar improves on the sound of your screen and fits neatly in front of your screen. 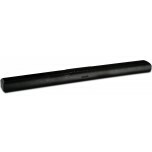 We only sell the best quality soundbars we can find at the best possible prices. 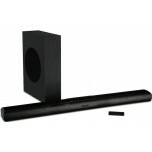 In addition to improving sound quality, a good soundbar also offers simulated surround sound, with many models featuring several speakers along the width of the unit which are individually angled to direct sound at different points around the room. By "bouncing" some sounds outward into the room, this can create an effective surrounding sound, without the need for a 5.1 speaker system with speakers and cables all around the room. 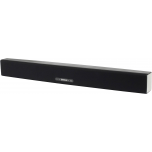 We offer a wide range of sound bars, ranging from entry level to high-end award winners which offer performance more like a surround sound speaker system than a compact soundbar. We have a knowledgeable, dedicated team who are always happy to help with any advice or to arrange a demonstration. 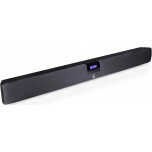 We also offer free UK next day delivery, giving you peace of mind and meaning your sound bar can be up and running in no time! 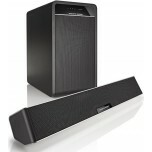 A Surround Sound Speaker System will always be the ultimate in home cinema entertainment. 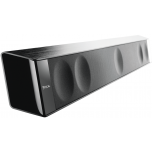 However, Sound bars have improved vastly in recent years, and have adopted technologies such as Virtual Surround to give the impression of a full 5.1 speaker system or even 7.1 speaker system. These models will feature an array of multiple speakers and drivers, some of which will be calibrated to aim angled sound at the back corner of the room, which will then reflect of the back wall in order to give the impression of full surround sound immersion. 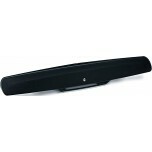 Higher end Soundbars can include a large number of speakers, with some models having 22 individual speakers, which aid in producing rich and dynamic audio reproduction. 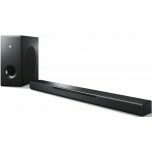 Many models feature an in-built subwoofer, or even multiple subwoofers, concealed within the feet of the unit. 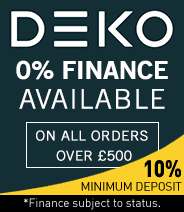 Some offer a standalone subwoofer, which is capable of housing a much larger woofer – resulting in a greater bass performance, and an altogether more rich and full-bodied sound from your AV System. 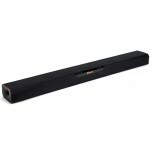 Many Soundbars feature a range of inputs and connectivity options, allowing you to connect a plethora of sources to the unit, and enjoy high quality audio playback on all of your devices and sources. 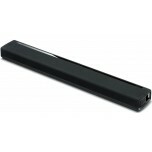 Most Sound bars have a single HDMI output connecting to the television, enabling you to route all of your HDMI sources through the unit to your television. 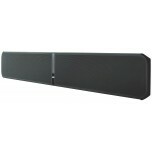 On top of analogue and digital inputs and connections, higher-end models may feature wireless and/or Bluetooth technology, letting you connect a wide range of Bluetooth-enabled sources to your AV Soundbar. The latest versions of Bluetooth, Bluetooth Apt-X or even Bluetooth Apt-X CSR is featured on some newer models (read , delivering lossless audio playback without the issue of trailing unsightly wires. 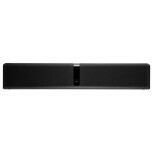 In contrast to a full 5.1 speaker system, a soundbar doesn't create a mess of cables and speakers around the room, saving you space and clutter.